The free-standing Linea Kitchen Island is the ideal way to add more counter space to a kitchen. 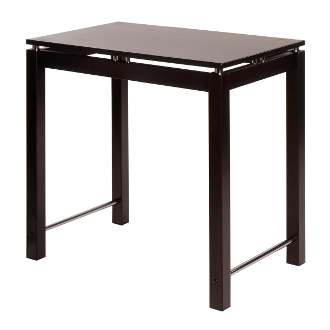 Its sleek, stylish design provides a broad, flat table top perfect for dining or food preparation. Overall Kitchen Island Table size is 35.50" Wide x 23.50" Deep x 34" High. Chrome Accent. Floor clearance of 31.10". Match with Linea Stools for a perfect Table Set.